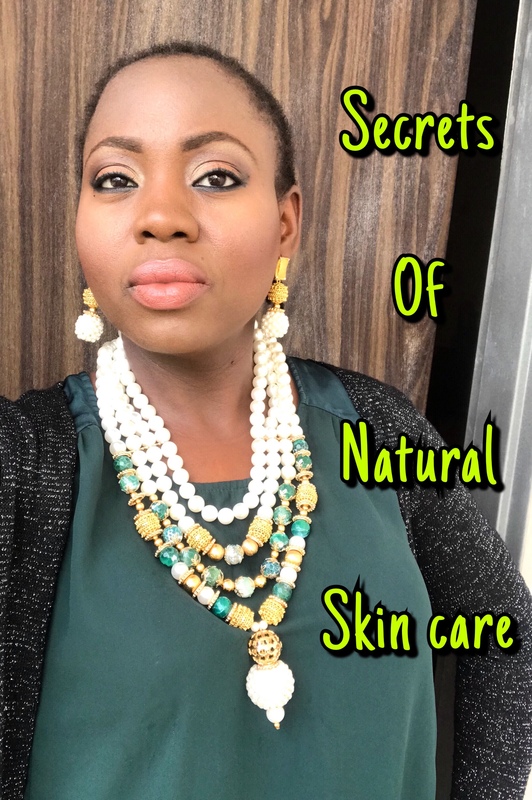 Collagen+ Lightening Anti-Wrinkle face cream by Nigerian organic skincare brand Ene Naturals is an organic anti-wrinkle face cream that fades out dark spots and uneven skin tone for a brighter, lighter, all natural radiant and youthful skin. This natural anti-wrinkle cream contains collagen boosters for cell renewal and skin rejuvenation for a younger, youthful skin. This product fights wrinkles, stretched skin and fine lines. You can expect results in a few days. Aqua, Argan oil, myrrh, franckinsence, Pure goat milk, collagen, retinol, vitamin E, rosemary oil, jasmine oil, lemon 🍋 extract, orange 🍊 extract, glycerine & citric order. 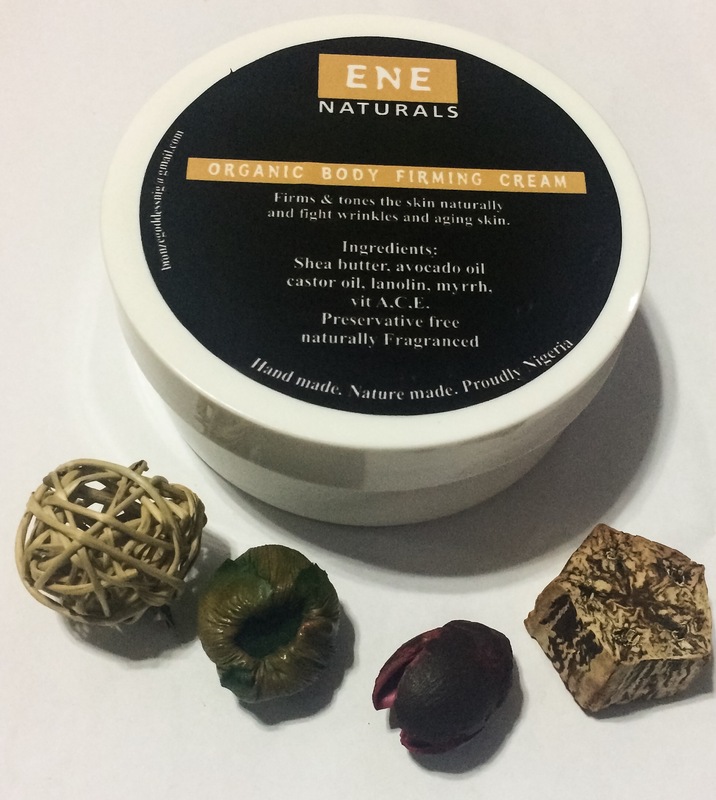 Organic body firming cream by ENE Naturals is hundred percent natural with no artificial preservatives or fragrances. This natural firming cream fights wrinkles and signs of aging through its collagen boosting properties which help to regenerate skin cells which combats aging and wrinkles. The result is a firmer, youthful skin that is healthy and free of toxins. You can expect result in seven days. Your skin also benefit from this product by combating stretch marks as well and protecting your skin from free radicals. 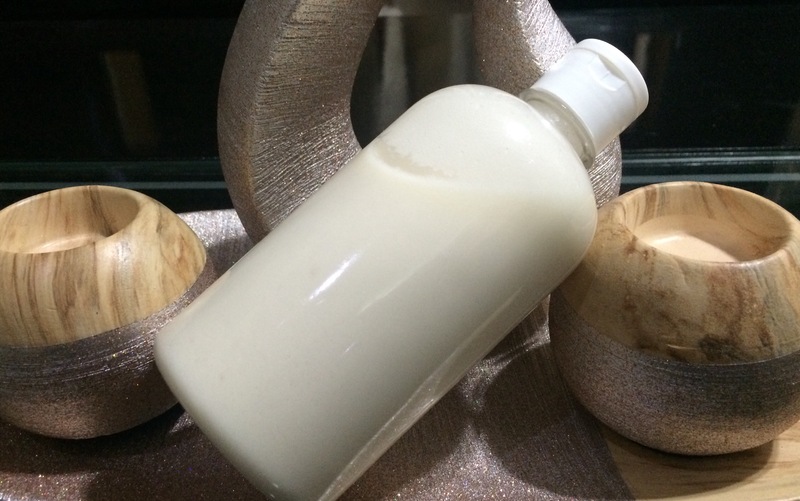 Active ingredients include myrrh, castor oil, Shea butter, avocado oil, Vitamins A,C,E, Rosemary oil, Argan oil & collagen. Two weeks ago, I was involved in a gas explosion in my kitchen! My entire body was on fire, all the hairs on my body fried! Fortunately, the damage was minimal as only a few parts of my skin were badly injured. This is not a marketing ploy but a testament that nature is the greatest healer. I turned to this body butter for its truly natural ingredients: Shea butter, olive oil, hemp seed oil, Rosemary oil, lavender oil, Vitamin E, orange oil extract, among others. These essential oils and carrier oils are great for cell renewal because of its ability to accelerate collagen production so you can understand why I would turn to them. It’s just been two weeks and my new skin is formed and healing very fast. This is not the first time I am having to depend on this body butter to heal my skin. I had a fibrous growth on my finger that was operated upon and removed. Two weeks after surgery, the fibrosis grew bigger and fatter. Rather than go back for a second surgery, I began massaging the body butter into the fibrous skin twice daily. In a matter of weeks, the growth disappeared permanently, with the surgery scar no longer visible. I also use the butter to treat spider veins as well. I am always happy to share my knowledge with people so if you are resident in Lagos, Nigeria, please walk into my all natural spa for samples. If you would rather we ship them to you, then cost of shipment would be born by you. You can buy this product from my online store – www.bronzegoddessmakeupstore.wordpress.com today! The sight of ruptured veins, beyond imaginable stretched skin (stretch marks) and terrifying sun burns still send chills down my spine. It is worrisome the length women would go for lighter or whiter skin, only to end up with eternal scars that make it impossible for their spouses to touch them. This, unfortunately is true and what I get to see day to day on the job. Unfortunately for these women, the majority of damaged skin cases may never be solved as skin that has been over-stretched is hard to heal. Sadly too, this translates to early or premature aging of the skin. Skin lightening or whitening products contain steroids and harmful chemicals like hydroquinone which damages the skin especially when it comes in contact with the sun. So steriods- plus -whiteners- plus-sun exposure means dehydration of the skin, sun burn and aging of the skin. Your skin needs moisturisers and oils to give it suppleness and needed moisture which lightening or whitening products do not contain. This excessive drying of your skin causes wrinkles and fine lines. Your skin needs collagen to stay young. So for as long as you are substituting moisturisers for skin whiteners, you are accelerating aging. Your skin needs oils as vitamins A & E, which are vital for the production of collagen are predominantly found in oils. A lighter or whiter skin does not mean beautiful skin; a healthy skin does. While some women are guilty of exposing their skin to whiteners, others over process their skin. I know ladies who wash their face with soap, use cleanser and toner and still scrub their face daily. That is too much for one face and soon, you are breaking into acne or rashes. Excessive washing and cleansing leads to excessive drying of the skin, which strips the skin of sebum and causes imbalance in body oil. Whether you have acne or not, choose between a soap or foaming cleanser to wash your face with and then use a toner. Less is more. I treat my skin like an egg – very delicately because I know that prevention is better than cure; and that by preserving my skin, am delaying the aging process for a youthful skin for longer. By preserving my skin, am in fact, saving on some serious cash as I wouldn’t resort to plastic surgery in the future. Once your skin adjust to preservation mode, it stays healthy and youthful for longer. Moisturize, moisturize! Always buy lotions or creams rich in collagen, Vitamins A and E with essential oils for lubrication and gloss. To stay young, I make my own cream. I made this out of pure aloe vera gel, Vitamins A, C, E, almond oil, coconut oil, carrot oil, lemon oil and lavender and rosemary oils. This cream is moisturising, fights wrinkles and aging as well as give me radiant skin. I stopped using soap a long time ago. I now make my own face wash and body wash from castille soap into which I add coconut oil, olive oil and almond oil and carrot oil. I wash my face with cotton pads for deep cleansing so I don’t use my finger. To tone, I simply diluted my Boots rosewater and glycerine with equal part water and I tone with cotton pad. For some reasons, glycerine and rose water is harsh on me but I need the healing, moisturising and age fighting properties in it so I dilute with water and it works perfectly. 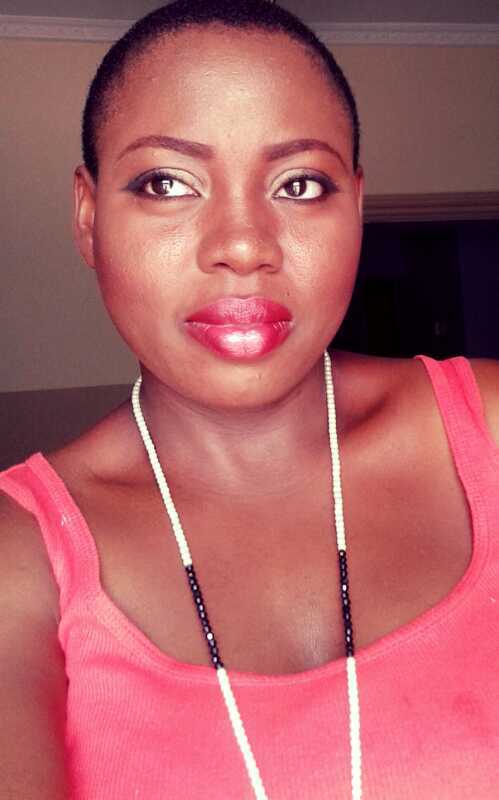 I embraced natural skincare for years now and am quite pleased that I don’t battle acne, rash, sun burn or stretch marks. My skin is toned with the right elasticity. So if ageless beauty is what you want, then embrace skin preservation.